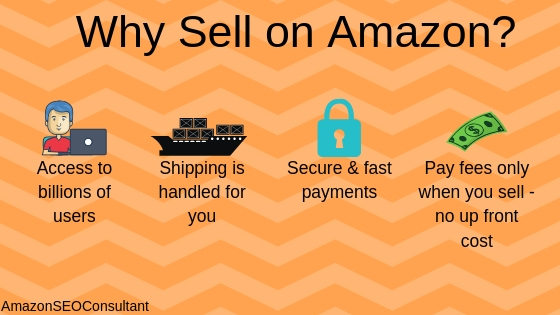 Welcome to AmazonSEOConsultant’s complete guide on how to sell on Amazon! Amazon has been making headlines regularly for its world-dominating success, meaning more and more people are wondering how they can get a piece of the pie. 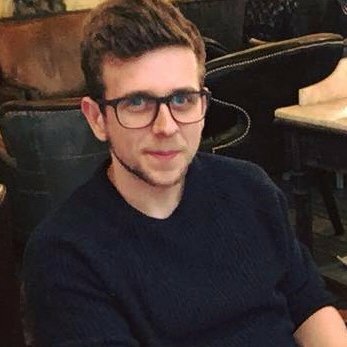 For some reason, in recent years, selling products on Amazon has been getting a reputation for being rather difficult to get into, with “is it difficult to sell on Amazon” being a question we get asked with frankly strange regularity. Now, while competition is high on certain products and keywords, in our experience, selling on Amazon is far from being difficult. The potential market you have access to when selling via Amazon is so huge that as long as you do your due diligence and don’t have a terrible product, there is no reason why you can’t find success. We’ve spent the last few years studying what makes Amazon’s algorithm tick, testing countless strategies on the best way to sell on Amazon, and providing our customers with the most effective boosts to product rankings that are available (just check out our case studies if you don’t believe me). 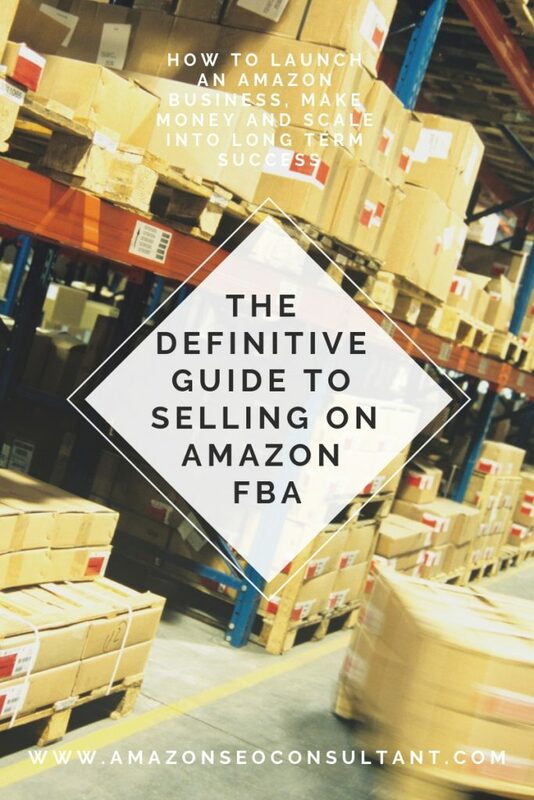 During this time we’ve picked up so much valuable information on how to run a successful Amazon FBA business, that we decided we had to bring this information to you by putting together a complete guide on how to start selling on Amazon. We will start with the basics, so if you are looking for information on a specific topic beyond generally how to sell items on Amazon, just scroll down while scanning the titles to jump right to it! What is Amazon and Why is it so Big? What are the Benefits of Selling on Amazon FBA? How Much Does it Cost to Sell on Amazon? 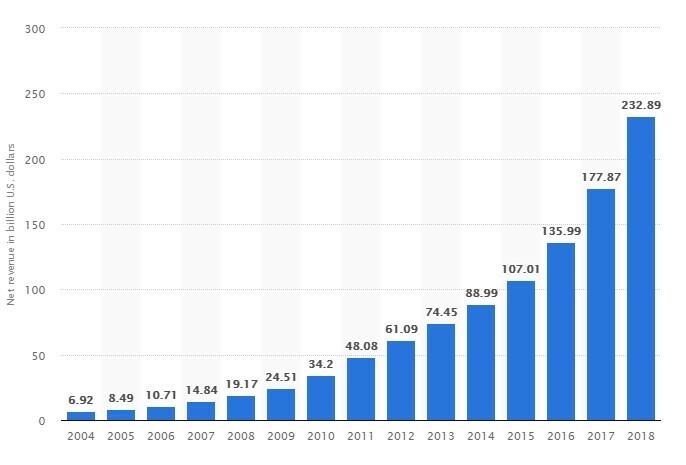 Amazon is an absolute juggernaut and the biggest single entity in eCommerce. They have grown to unbelievable heights through constant clever initiatives and, most of all, by focusing all of their efforts on removing all possible friction from the buying process. From drone delivery in an hour or two to free next day delivery via Prime, all the way to dash buttons and affiliate links – if there’s a way to make you more likely to buy, Amazon has probably thought of it. This is a great first lesson and something you should be taking notes from them about! As you can see, there are absolutely no signs of them slowing down. This means it’s a great time to get on board. But why would you even bother when you can sell your products on your own website? This is a pretty common question – after all, Amazon takes a cut right? (We will discuss this in more detail later). Surely you’d be better off selling your products on your own website and keeping that percentage? Well – we recommend doing both. This allows you to try to attract traffic and customers from two directions and will drastically increase your sales if done correctly. You’ll get less profit for individual sales on Amazon than you will through your own sales channels for sure. Visibility in front of Amazon’s 2.5 billion monthly shoppers. Easy scalability – once you’ve found a product strategy and price point that works, you can just keep new stock coming. All of Amazon’s friction removing/conversion boosting strategies, their logistics empire and their customer service departments work for you. Amazon is one of, if not the most trusted names in eCommerce – you can piggyback off of that trust, making customers more likely to buy from you. But if you’re a sole trader or small business, where are you going to keep all your stock? Amazon has already thought of that, and Fulfilled by Amazon is your answer. You send your products to Amazon. You can either send them manually yourself, or you can order products directly from the manufacturer to Amazon (we will explain how to do this later). Your products are stored in Amazon’s warehouse, removing your own need for storage space and warehouse staff. When a customer orders your item from Amazon, it will be shipped directly to them without you needing to do anything. Amazon also handles all damages, returns, customer service and more. Not to mention the fact your products are being sold via one of the best-designed conversion funnels in the world, without you needing to spend a penny on web designers – nifty! The only downside is the costs involved. Amazon wants to keep the stock in their warehouse moving so you can expect to get hit with some storage charges if your stock is just sitting around. If you have a good product that’s well marketed and priced, this shouldn’t be an issue but it’s absolutely worth being aware of. Selling via Amazon FBA also gives you full access to all of Amazon’s shipping options, including free next day delivery for Prime subscribers. This can be what pushes your potential customers over the edge and can have the same impact on your conversion rates as it did on Amazon’s themselves. People love quick shipping but they hate paying for it. Amazon Prime makes them feel like they aren’t, it’s as simple as that. 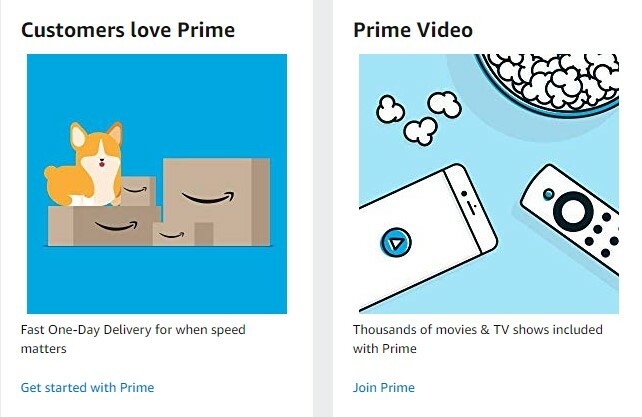 By the end of this post, you will know how to sell on Amazon Prime in detail and will be able to benefit from this just like Amazon themselves do. FBA is by far the most popular way of selling via Amazon, despite being the most expensive. This is because it’s also by far the easiest and lets Amazon handle your logistics, returns and customer service etc. Despite this, there is another way to sell on Amazon, and it comes with fewer costs. If you have adequate storage space and wish to avoid the Amazon storage charges, you do have the option of fulfilling your orders yourself. The majority of the time FBA is the much better option since it allows you to scale your business without having to worry about finding bigger storage space etc. As a result, we will be focusing on FBA for the majority of this post, but if you just want to sell a few items that you already have stocked at home and aren’t expecting to grow your sales too much, fulfilling the orders yourself can be an easy way to do it. Also, it should go without saying that if you are starting off very small, for example selling off some of your book collection to make some capital before buying new products, this can be a very cost-effective way to start out. There is no “right amount” needed to start up an Amazon FBA business. More money does give you more freedom to try different marketing strategies, but if you do your research and take the right steps, this is completely unnecessary, especially in the early stages. 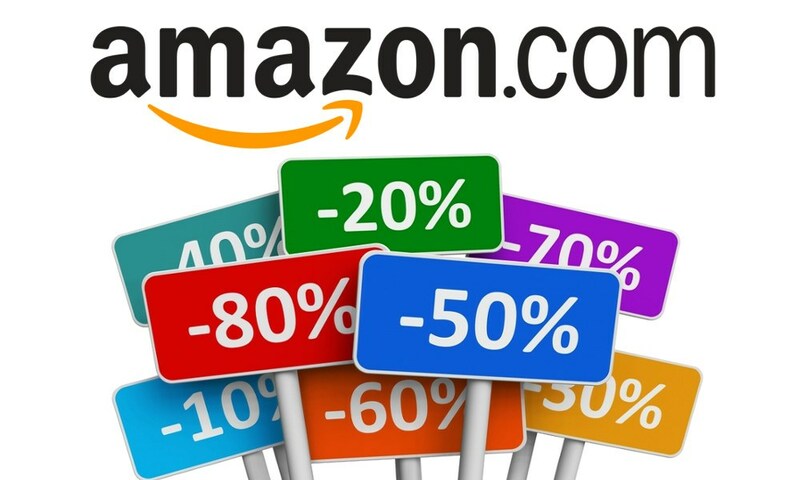 You will need to purchase a few small things like UPC codes (around $10) and paying the first month of your charges to open your Amazon seller account ($40). You may also have to outsource things like logo design and product photography, but you can also do these things yourself without spending a penny, so your mileage may vary. The only other thing is buying in stock and shipping it to Amazon, but you can start as large or as small as you’d like. In fact, we recommend starting small to reduce potential risk. This minimises the losses if you do something wrong and your stock doesn’t move. 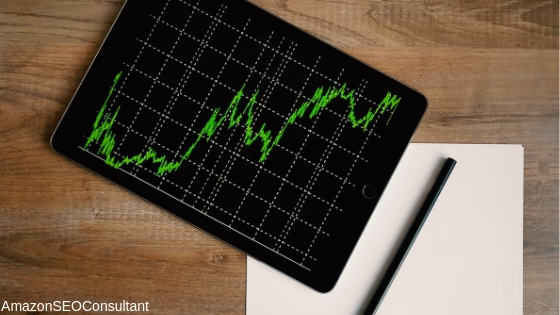 Once your stock is selling smoothly and you know you have everything set up well, you can begin to order larger quantities of stock and let your business grow over time. Amazon offers an FBA revenue calculator which is accessible even if you don’t have a seller account. This allows you to enter data such as how much a product will cost you and how much it will cost you to ship it to Amazon. Amazon then figures out your total profit based on this information combined with other factors like taxes and their own fees. These fees do vary quite a lot depending on the category of product you’re selling, it’s size and weight, and how long it was stored in Amazon’s facility. You can find Amazon’s full breakdown of these fees here. We recommend running any products through here before you list them for sale, so you can strategise accurately based on the actual profits you will receive, and so that you don’t make any nasty pricing mistakes that could cost you money. All in all, setting up an Amazon FBA account is one of the cheapest ways to start an online business, due to the lack of need for web designers, customer service staff, negotiating courier contracts etc. Once you’ve decided you want to sell on Amazon and decided on some products, since we’re talking about how to sell on Amazon for beginners, this is likely the first step you need to take in your journey to start selling on Amazon. First and foremost you simply need to go to Seller Central and sign up for your account. The most important decision you’ll make during this process is whether you want a Professional Seller account or an Individual Seller one. Professional Sellers pay $40 per month for their account in return for not having to pay any listing fees. Individual Sellers don’t need to pay a monthly amount but are charged 99 cents per listing. If you are a small seller who is just selling a few items per month, an Individual Seller account will work out cheaper, but for businesses that plan on selling large amounts, a Professional Seller account is a no brainer. Other benefits for Professional Sellers include the ability to create new listings for products that don’t currently exist on Amazon or to set your own shipping costs. Certain high competition categories such as Clothing, Beauty and Collectibles are also off limits to Individual Sellers, so definitely keep that in mind if you are planning on selling these items. This is arguably the most important part to consider out of the whole process. Launching a high competition product with no unique selling point and a high cost will lead to zero sales or at least a very low number. 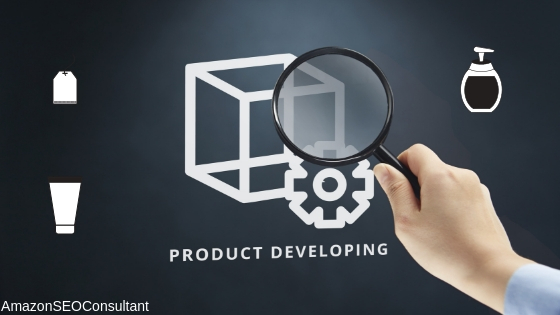 You need to put a lot of time into researching and developing your products, making sure you have an offering that the market wants at the right price. Our guide to trending eCommerce niches in 2019 includes a detailed list of trending items on Amazon, including some of the top selling items on Amazon in 2019, so it’s a great place to get a lot of ideas for products that are currently growing in popularity. It can be easy to want to sell things just because you’re interested in them or know a lot about them, but realistically this very rarely works. You should be unemotional and unbiased when it comes to comparing different products, going with something that looks like it will sell well based on raw numbers and data, and not just something you’d enjoy selling. Amazon product reviews are a goldmine for people like me or you. You can find out which products are making people lose their mind in excitement and getting flooded in five-star reviews, and get a piece of that action. In the same way, you can find out if certain products get the same negative feedback regularly, and make changes to the product to suit the public’s desires. There is no better way to find out what Amazon users are looking for than via reviews since these are honest opinions from real life customers. A good technique is to look out for products on the first page of the search results that have a low number of customer reviews (up to 50). Reviews are a major factor in Amazon ranking, so this is a sign that this particular search term is low competition. This tells us it will be much quicker and easier for you to get your own product to the top of the first page. If a search term is full of successful products with high amounts of positive reviews, this means it is high competition, so ranking there will take a lot more time and effort. However, this usually means the rewards will be bigger too, so this is far from being a reason not to try – just a pointer for how much work will be involved. If you are selling a product on Amazon that you know is attractive and well priced, but it’s too far back in the search results for people to see it, a few keyword focused sales are often all you need to push your rankings to the next level and start making sales. Google Trends is a godsend when it comes to judging the popularity of certain products and how it’s changing over time. Simply type in a generic search term related to your product of choice and you will be provided with a graph of interest in this particular topic over the last few years. This provides a way to get long term perspective, for example, if certain products are only popular at certain times of the year, or are on the decline. If something has a high amount of interest that seems to be increasing year over year, then you can assume it’s something people want to buy. The two most popular Amazon business models when it comes to ordering from Alibaba, are private label and white label manufacturing. 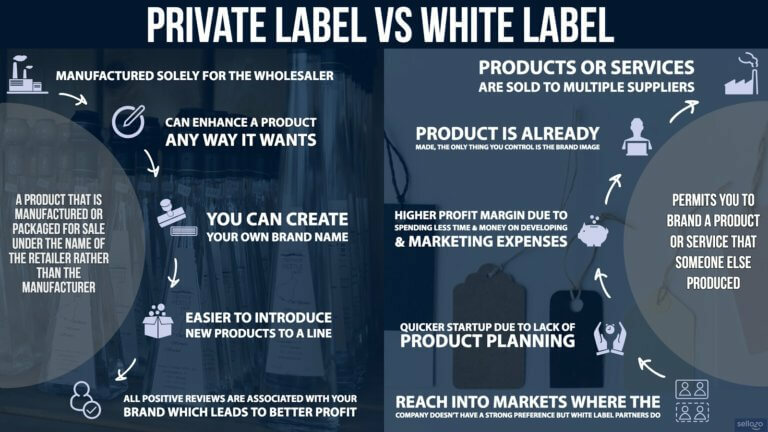 White label manufacturing is when a third party manufacturer essentially sells you a pre-existing product with your own logo on it or the packaging, allowing you to take a product that already exists elsewhere and sell it as if it’s your own. You are essentially selling a product designed and controlled by somebody else, which will be mostly identical to other people’s offerings outside of your branding and marketing. Private label manufacturing is a similar process but it involves designing a product yourself and getting a manufacturer to create it for you, meaning it is usually a completely unique and exclusive product. This is cheaper than white label manufacturing because you are only paying somebody to produce the physical products while managing everything else such as branding, packaging design and more yourself. Both of these methods can work well with Alibaba. But what is Alibaba, and why should you care? Alibaba is the biggest online marketplace aimed at connecting manufacturers and sellers. Since the vast majority of manufacturers and suppliers on Alibaba are from China and East Asia, it is generally the cheapest source of bulk manufactured products. As a result, it is generally where Western eCommerce businesses go to get their products made. You can even get an Alibaba supplier to manufacture your products and send them directly to Amazon, meaning you don’t have to handle any stock at all. One of the biggest pros of using Alibaba is that it doesn’t require any previous experience and is free to sign up, so if you’re interested in selling products online, you can start browsing it right now. As mentioned above, Alibaba allows you to order goods in bulk directly from the manufacturer, making it the cheapest place to get your products before selling them online. AliExpress, however, is their website that is aimed at the retail/consumer market as opposed to businesses. While it isn’t generally as cheap as Alibaba, AliExpress has no minimum order quantities, so it can be better for getting samples or making smaller orders to test out your product strategy. The vast majority of suppliers on Alibaba are willing to dropship and you can always ask if you aren’t sure. However, we’d recommend erring on the side of caution with this as delivery will often take a very long time. Dropshipping is typically better when done from a wholesaler in your own country, as they can deliver much more quickly even if the price is a lot higher. Regardless, if you can’t afford lots of upfront stock and are just looking for a few orders to make some capital to get you started, dropshipping through Alibaba is an option worth considering. As long as you keep these pros and cons in mind, and consider your target market, this is not a problem. If you are selling something in bulk and need it to be cheap as possible, Alibaba is unbeatable. If your target demographic are more interested in something handmade or uniquely high quality, paying the extra to get them made locally could also be worth it. Another thing to pay attention to when dealing with Alibaba is payment security and scammers. With such a huge amount of sellers from all around the world, it’s sadly only natural there will be some risks from this. Once you’ve done your product research and figured out what you’re going to sell, and you’ve trawled through Alibaba and found all the cheapest and best-looking instances of that item, it’s time to message some suppliers. The fact of the matter is a bunch of these suppliers aren’t going to respond, so it’s best to write up a generic email with all the questions you want to ask, then send it to all of them. 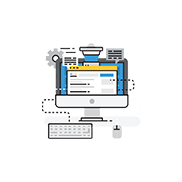 It gives you a feel for the manufacturer’s communications – if they write back a detailed message that answers all your questions, they are likely going to be pretty easy to work with. In the same way, a one-sentence response that doesn’t answer all of your questions is probably not a good sign. Do you do samples or trial orders of smaller amounts? Can you add our logo to the product and will this affect the cost? Are you able to label our products for us and/or customise packaging? The two safest payment methods are Paypal and Alibaba’s own secure payment system. Avoid sellers who only accept Western Union payments as they have no obligation to refund you if anything goes wrong this way and many sellers have been scammed. This is nothing to worry about if everything is through Alibaba as it is all recorded and protected by the site itself. You absolutely have to order a sample, especially if it’s your first time using Alibaba. This is the only way to absolutely guarantee they are capable of producing the product exactly as you want it. In fact, we would recommend ordering samples from several different manufacturers in order to compare the end result, then going with the one that impresses you the most (obviously taking other things into account such as price or customer service). Once you’re happy with a supplier, you can go ahead and order a larger quantity of products directly from Alibaba to Amazon. Shipping by sea is by far the cheapest option but also the slowest, often adding 4-5 weeks to the lead time. You can ship by air for a much quicker delivery but expect it to increase the unit cost by a surprising amount. Amazon does require you to attach a barcode to all of your items, but most Alibaba sellers are willing to do this for you for a small extra charge, so be sure to discuss it beforehand. This is crucial because if your products turn up to Amazon without any visible barcodes, they will get lost in the vortex of Amazon’s warehousing system and you’ll likely never hear of them again. Amazon has some very strict requirements when it comes to shipping your goods to them, so be sure to read through this page in-depth, otherwise, you run the risk of them simply returning your products. 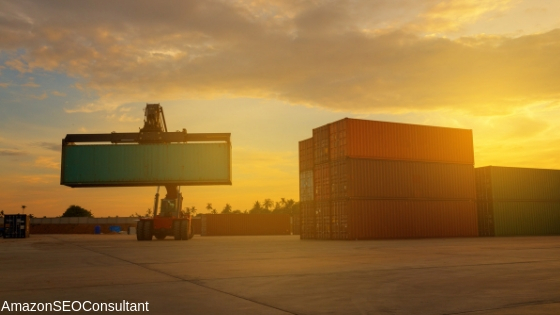 Once you’re sure it’s time to go ahead, you need to create your first shipment via Amazon. These shipment plans do not expire or have a required delivery date so it’s a good idea to set them up ahead of time whenever possible. Go to your Inventory tab in Amazon Seller Central and click on Manage Inventory. Fill in all the necessary details. The Ship From address is not the manufacturer of your products, it’s the last location your products will leave before arriving at Amazon, so most often the port of entry in your own country. You will also have to choose whether Amazon or your supplier will handle the packing work. We would recommend letting your supplier do this as it will always be cheaper. The same applies to attaching the barcode labels to your product packaging, which is why we mentioned getting your supplier to do this. 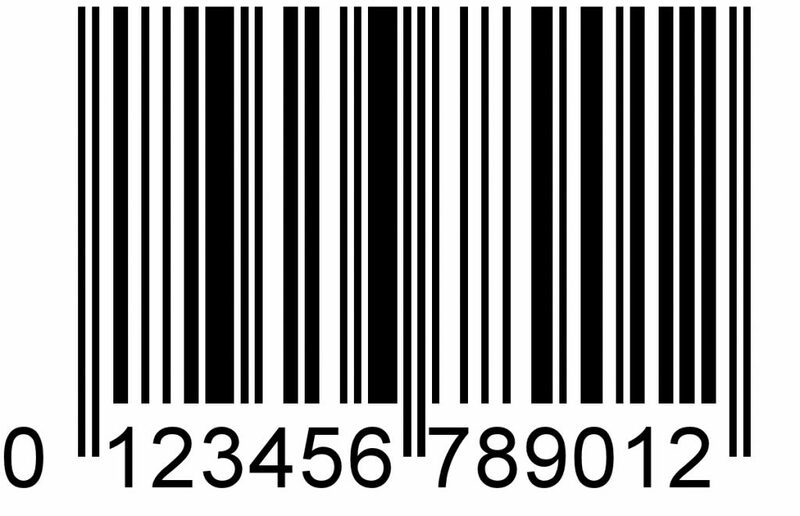 You can download a PDF of the required barcode at this stage, so be sure to do this so you can send it onward to your supplier before they dispatch the goods. From here, the rest of the details you have to fill in are pretty self-explanatory, just be sure to make sure your freight forwarder has all the information they need to avoid any customs related issues, and you’re golden. Even if you do everything else right, making a pricing error with your Amazon products can kill your Amazon business pretty quickly. You should have the customer in mind at all times when considering your price point – look at the search results you’ll be competing with and price yourself attractively next to them. At the end of the day, this might sound a bit complicated but it’s actually extremely simple. As long as you keep those goals in mind, you should be able to do well, so it may be best to price your products on the lower side to start. If your price goes too low, you won’t make any money, and if it goes too high, nobody will buy from you. Because of this, you should figure out the highest and the lowest you’re willing to go from the absolute start, and stick to it. Otherwise, give your products a price that will make them look very attractive amongst the top 3 ranking products for your main search terms. After all, that’s where 70% of all Amazon sales are made. We have already posted an in-depth guide to the Perfect Amazon Product Listing Optimisation, so I highly recommend going through this in detail when the time comes to build your Amazon product listing. An attractive, well-converting listing is the backbone of how to successfully sell on Amazon FBA. It goes without saying that you need to take effective and attractive product photographs. When it comes to taking the actual photographs, you can get an expert to do it for you if you wish. If you’d prefer to save money by doing it yourself, our product photography guide will tell you everything you need to know. But even when you’re done with this, you aren’t quite done squeezing everything you can out of your images. You should add text to these images that push the benefits of using your products, and the benefits of those benefits. For example, if you’re selling speakers that are louder than the competition, don’t just say “they’re louder”, say “they’re louder than other speakers so you can have bigger and better parties than ever“. This relates the benefits of your product right back to the life of the customer and helps to make it more relatable and attractive. 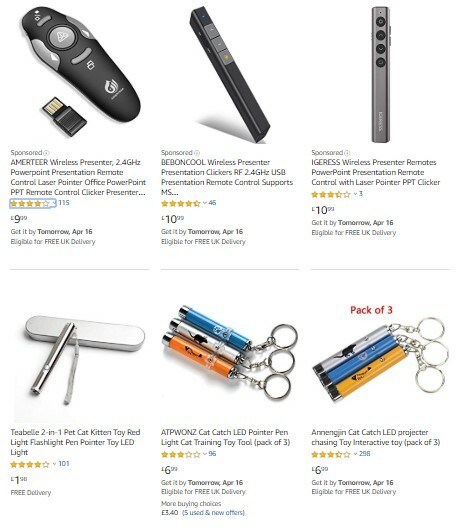 The images are a great place to put this because you can continue to strengthen the benefits of your products while Amazon users browse through the images (which they will – this is the first place most users go since photos can’t lie). It can be easy to forget that Amazon is a search engine with an algorithm and its own set of rules, just like Google. Our guide to optimising for the Amazon A9 algorithm is an awesome dive into the way A9 works and is a must-read for getting your head around keyword research. If you’ve worked with organic SEO before, you know the key to succeeding in a search engine is to optimise your products for keywords where they will be extremely relevant, have high conversion rates, and satisfy the searcher intent. This is no different with Amazon so make sure you have as many relevant keywords as possible and put as many of them in the product title as you can too, ideally near the start. Also, put yourselves in the minds of the reader/potential customer and put any information they might be curious about in the most obvious, immediate spot you can (things like size, brand, colour, features etc). You will ideally want to make sure your product description and bullet points are made up of well-written copy that sells the benefits of your product (and the benefits of those benefits) while also containing any remaining keywords you haven’t managed to fit in. We highly recommend using an Amazon keyword research tool. There are plenty out there with varying usefulness, but you are never going to think of all the potential relevant keywords yourself no matter how good you are at getting into the mind of online searchers, so using one is a must. We have created a guide to the top 10 Amazon keyword research tools and we will be continuing to keep it updated over time, so don’t be afraid to read through it now and check back regularly to figure out which tool will be the best suited for you personally. Once you’re happy with your product itself, it’s time to design its packaging. This is something that gets overlooked way too much, and it seems a lot of businesses consider well-designed packaging to be a “nice extra” at most. For this stage, you need to remember that your customer’s experience buying from you doesn’t end when they complete their order online, it continues right up until they are using their new purchase. Strong, simple packaging can give a great impression to your customers and has been suggested to make them more likely to purchase from you again. If I’m doing business with an eCommerce site for the first time, I’m certainly going to be much more impressed and more likely to purchase from them if everything is packed well and branded, than if my item turns up just thrown in a random reused old cardboard box. Typography is also a big deal – the fonts used on your packaging should be clear and easy to read, whilst also not being some commonly seen font like Comic Sans as this will just make your brand look cheap. Soft, bright colours such as pastel pink or sky blue are all the rage right now. Customers see this packaging as welcoming and pleasant to receive. Labelling should be simple and clear. Complex labels with lots of different information in different formatting just come across like you’re trying to pull the wool over somebody’s eyes. Simple, homemade style labels feel more trustworthy and natural. A personal touch such as a thank you message from the brand, explaining your brand values with a discount code makes your brand stand out, tempts your customers to try some of your other products, and encourages reorders. The unboxing experience is a huge part of shopping online for many people. When you consider this, it’s no wonder there are so many unboxing videos available online. Uniquely designed packaging that gives a great unboxing experience not only increases your visibility in those kinds of videos but encourages brand loyalty too. There are some really simple examples that will help you think about this in the right way. For example, think about Heinz Ketchup – they were the first to turn their ketchup bottles upside down, a move that made their product much easier to use and was copied extremely quickly by their competitors. Another example is Apple – they put a lot of effort into making their packaging come across as premium, high quality and enjoyable to open. They did this so well that many Apple fans often keep the boxes for all of their products as some form of collectable, despite them being completely worthless. 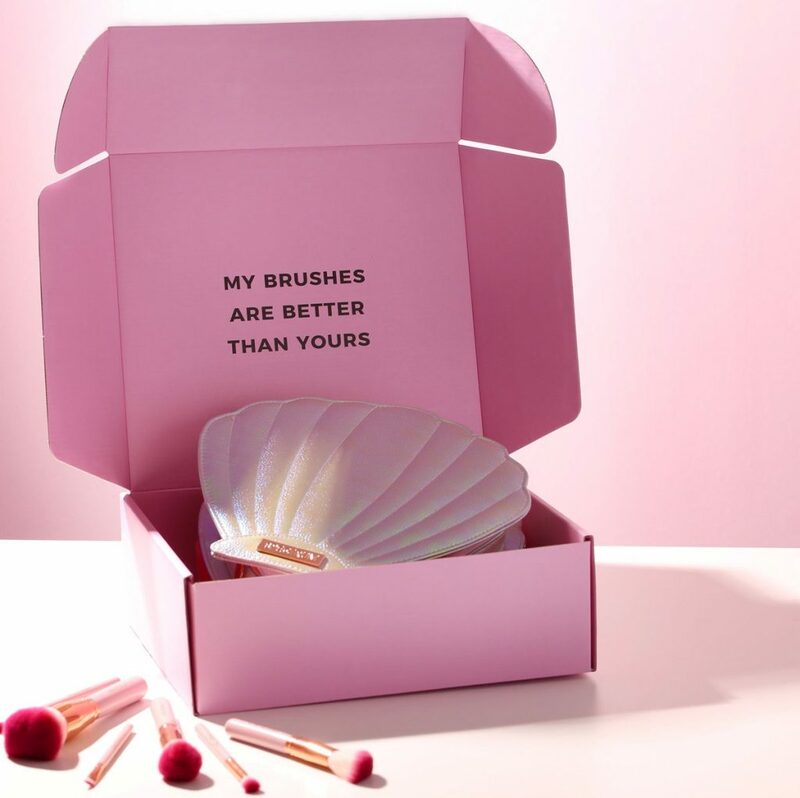 These are two great strategies to emulate – making your packaging seem higher quality or more convenient than that of your competitors is a great look. Ok, so you’ve designed and planned your products, shipped them to Amazon, optimised your page listings and images as much as possible, and created a truly unique and attractive product listing………on page 45. This is the part that stumps a lot of Amazon sellers. Even if your product is better, more attractive, and cheaper than the options on page 1, they aren’t going to move if nobody is seeing them. As we’ve already covered, the main factors in Amazon ranking are sales and reviews. But how on earth are you going to get those if nobody can find your product? Keyword focused sales are exactly what they sound like – somebody searches a specific keyword and buys your product, ideally leaving a positive review in the process too (but you can’t influence this part for obvious reasons). This has the result of increasing your products ranking for that specific keyword. Getting your friends and family to purchase your product via a specific keyword is a good way to boost your products rank in the early stages, hopefully raising it up to a position where it can begin to receive organic orders and reviews, ranking itself naturally in the process. 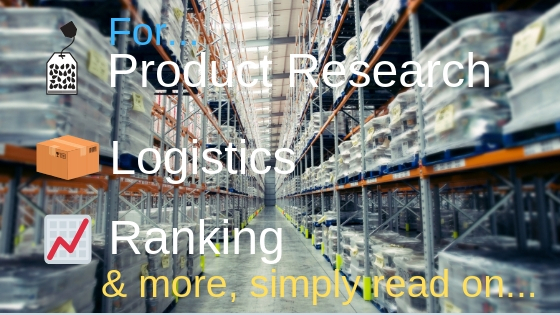 We do offer an advanced version of this service at a low cost, which can be an excellent way to boost your products rank while getting a great ROI, so check out our order product rankings page if you want to give that a try. If you’d rather do it your own way, you likely aren’t going to have enough people in your immediate social network for the keyword focused sales route to have much of an impact, so the best way to drive people to your Amazon page and start getting orders is likely to use paid advertising through Amazon itself. Sponsored Products on Amazon works essentially in the same way as Google AdWords, allowing you to pay money to get your Amazon products showing at the top of the search results for specific keywords. As you can see in the below image, the top row are all paid ads, with the bottom row being the top-ranked organic listings. This is a great way to get eyes on your products before you’ve managed to rank it, winning you orders and reviews which will hopefully get your product up to a high enough ranking that it begins to get these organically. To go in-depth on the best strategies to win clicks while spending as little as possible, check out our full Amazon PPC Guide and our Amazon PPC Training Course. First, you need to complete your keyword research. This is no different from organic keyword research, so check that category above or use one of the tools recommended in our Top 10 Amazon Keyword Research Tools. Once you know the keywords you want to target, you need to optimise your page listing with as many of them as possible, while simultaneously using copywriting techniques to sell the benefits of your product to the reader. If you set up paid ads without making sure your page is converting first, you could simply pay to send 500 users to your site and get 1-2 orders, and that’s not only very disheartening but costly too. First, go to Advertising in Seller Central and click Campaign Manager, then go to Create Campaign. You will have to fill in details about your campaign such as the name, daily budget etc, but this is only important when you have lots of different campaigns to keep track of. Right now, for your first one, this information is no big deal. We do recommend starting as high as possible with the budget because assuming everything is done right, the more you spend the more orders you will receive, but of course, be reasonable and don’t put more than you can afford. Default bid is a similar case, and you will be tweaking this later so it doesn’t matter too much, but $0.50 is often a good place to start. Then you simply need to create an ad group. You will eventually want one of these for each product or each product category, but for now, we’ll just make one. You will be asked which keywords you want to target these ads for, so copy and paste your full list in from your keyword research earlier. Once you do this, you will be shown the bid required to get each keyword to page 1. You should bid in the top range of this, since this will result in your product showing up in the top 3 results, giving the highest chance of sales. Now that your ads are running, you will want to optimise them over time to maximise sales and minimise spending. You need to keep your ACoS (Advertising Cost of Sales) in mind. For example, if you’re selling an $80 product and you pay $8 in advertising for every 1 sale, your ACoS is 10%. This, of course, needs to be less than your profit margin to ensure you are still making a good profit per sale. If your profit margin is 30% and your ACoS is 10%, you are making a 20% profit on each sale. You should tweak your ad text and product description to maximise your conversation rate, click-through rate, and therefore sales. Once you have ads that are converting well and you are happy with your ACoS, you should start increasing your spend so that the order volume increases too. First, maximise your daily budget. This means you won’t be limited by budget and your ads will be showing for everybody that searches your chosen keywords. You should also increase your bids by up to 50%, to make sure your competition isn’t going to outbid you. By checking your ads performance every week and making adjustments accordingly, you will be able to improve your sales volume drastically. If your aim with PPC was to rank your products high enough to sell organically, you can stop paying for ads once they reach the ranking and review quantity you are aiming for. However, if the average lifetime spend of your customers is high enough that your ACoS is negligible in comparison, you may just decide to keep your ads running indefinitely! Using the tips above there is no reason you can’t build a successful Amazon business, as long as your product is attractive and not overpriced. Once your product is ranked well enough and your conversion rate is good, orders will take care of themselves to a degree. This one is perhaps self-explanatory, but if you have enough margin to do this and want to boost your orders temporarily, consider offering a promotion. A discount can boost your sales and reviews for a short period of time, boosting your ranking in the process and increasing your visibility, which can lead to increased sales even after the promotion ends. Be as strategic as you can with this though, as you don’t want to be throwing away a percentage of each sale for the sake of it. Email marketing on Amazon is pretty tough as Amazon don’t allow you to access customer email addresses. 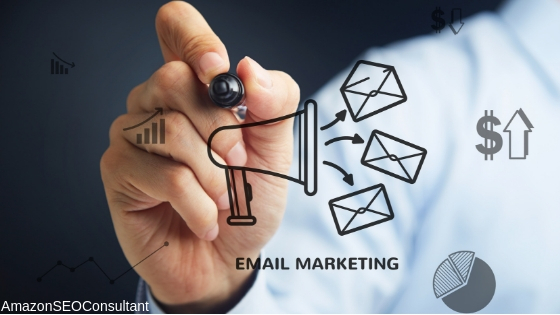 There are still a few ways you can utilise emails to increase your sales, however. One is taking the time to write your email templates as well as possible. Amazon does allow you to customise the email that’s sent shortly after someone orders from you. These simple techniques have been suggested to humanise your business somewhat and increase the chances of repeat orders and positive reviews. Considering these emails run in the background and do their jobs without any further input from you, it’s worth spending the time up front to make sure they are done as well as possible. Of course, in this Email Marketing section, you were likely hoping we’d tell you how to unleash the power of MailChimp on Amazon, allowing you to use segmentation to target huge amounts of potential Amazon customers in a unique way that appeals to them individually. This is not something that’s easy due to Amazon being protective of their business and customer details, but it’s not impossible. The strategy here is to set up a landing page outside of Amazon, with traffic being driven to it via your website, paid social media ads, Google PPC or all of the above. Chances are your product name followed by “discount codes” is a fairly well-searched term, and thanks to the huge buyer intent that comes with such a term, this shouldn’t be too difficult to set up. When users land on this page, you can just offer them an Amazon discount code in return for their email address, forwarding them straight to your Amazon product page when they fill it in. It also has the benefit of not being a sale that’s visible on Amazon, allowing full price orders to still come in. There are two main ways to increase traffic to your Amazon product page, and therefore sales, using social media. 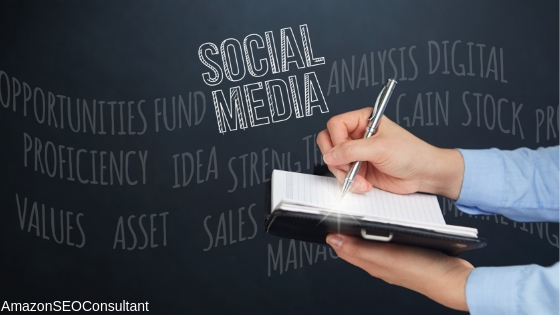 The second strategy is to use paid social media ads. This strategy works similarly to Amazon Sponsored Products and Google AdWords but involves getting your paid ads up on Instagram, Twitter, Facebook etc. Social media ads are usually cheaper than Google or Amazon ones and can be more easily targeted, for example, you can make your ad only show up for people that have liked the page of one of your competitor products. Having several effective paid ad campaigns bringing traffic from different sources will boost your traffic and orders by a huge amount, but of course, each social network has to be approached slightly different to get the best results. Because of this, we would recommend taking your time, doing your research and launching each campaign one at a time instead of trying to hit them all at once with the same strategy and throwing away a lot of money. Social media marketing can be rather complex and piecemeal at times so we will bring you a complete guide on this topic in the near future. In the early stages, it is likely best to manage things yourself using the tips above, so as not to overcomplicate things. However, once you have a successful Amazon FBA business that’s fully set up and running smoothly, there are a variety of tools out there that can be used to automate the whole process, reducing your workload and freeing you up to discover new ventures. Since Amazon FBA is, in its essence, a way to automate some of the processes involved in selling online, we’re going to assume this interests you greatly if you’ve read this far. If you’re anything like the majority of startups selling on Amazon, your main area of focus is business, analytics and financial aspects of your business. This means things like copywriting and product photography are possibly not your forte. Even if you’ve done all of that yourself so far and done well, do you really want to be spending most of your days on jobs like these? We’d highly recommend outsourcing these jobs using sites like Fiverr or Upwork. If you aren’t sure which freelancers to trust, you can even use split testing software to try out several product descriptions against each other, and then stick to the one that increases your conversions the most. 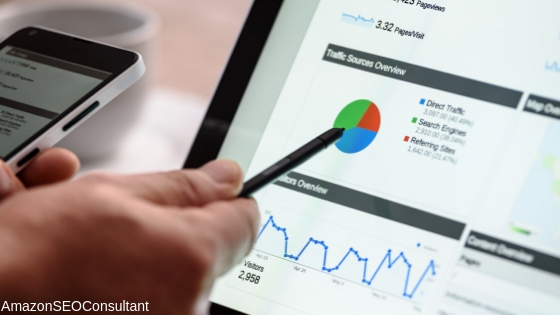 If you don’t have an in-house PPC expert, you can hire freelancers or even use PPC management software to keep your bids, ads and keywords as up to date and optimised as possible. You can set your own parameters to make sure your ACoS doesn’t go over a certain amount, and a lot of PPC management tools will also help you to find new effective keywords. Inventory management tools are a godsend, keeping track of how much stock you have in Amazon, in production, in transit etc and giving automated notifications to let you know when you need to order more. Some tools can even take this to the next level and automatically send purchase orders to your supplier, meaning you can sit back and rake in the profits. We recently posted a guide to our Top 5 Amazon Inventory Management Tools and we will be updating it as newer solutions become available, so keep an eye on that page if automation is something you’re working towards. Our current favourite is this one. That’s all for this ultimate guide to selling on Amazon, but don’t forget to check back regularly for more in-depth guides to successfully selling on Amazon. I’m going to leave you with a video about our unique ranking strategies, but the best next step for you is to likely check out our Case Studies to learn more about the incredible, unmatched results we have or to read our Amazon SEO guide fully.